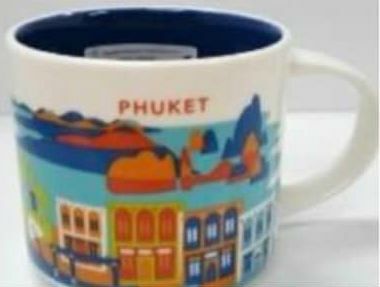 When we thought Starbucks is done with releasing Chinese mugs, they come with the new one. 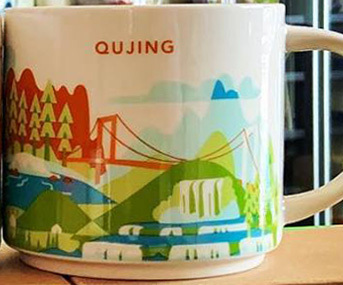 You Are Here – Qujing is the latest addition to an already huge family. 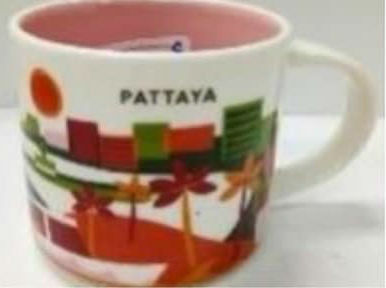 It is mostly nature which occupies the sides of the mug. We see mountains, hills, rivers, waterfalls, and forests. There is only one man made landmark on the front and it is Puli Bridge – a suspension bridge which is 1,591 ft tall (one of the highest in the world). 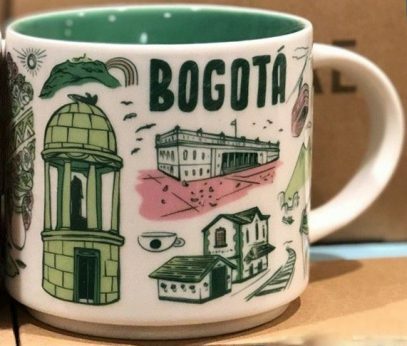 – Capitolio Nacional (or National Capitol) is a building on Bolivar Square in central Bogotá which houses both houses of the Congress of Colombia. The construction began in 1876 and finished in 1926. – Statue of Simon Bolivar in the Parque de los Periodistas. 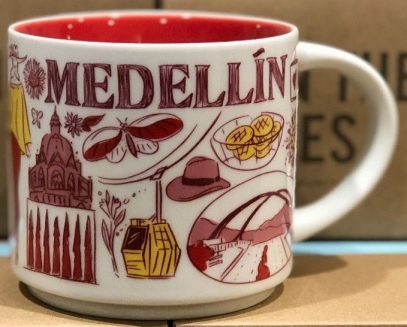 Here’s Starbucks Been There Medellin mug and some symbols of this town. 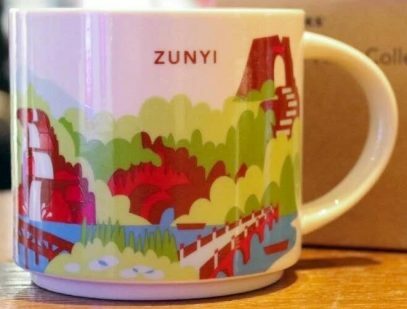 I purposely avoided what this town is mostly known for (especially for foreigners) since the city is changing for the better and is trying hard to improve its image. – Rafael Uribe Uribe Palace of Culture – houses cultural programs such as concerts, conferences and art exhibitions. 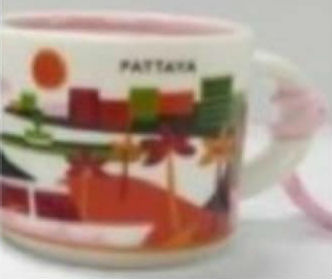 Here is Starbucks Been There San Juan, the mug for the capital and the largest city of Puerto Rico. 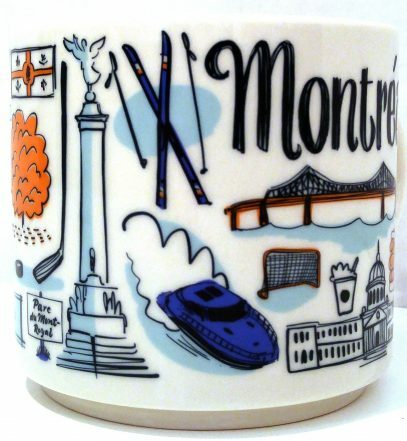 It is the third oldest European-established capital city in the Americas, after Santo Domingo and Panama City. 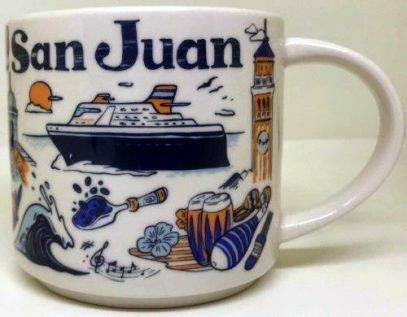 – Cruise ship – since San Juan is a favorite destination for numerous cruises, you can see 5-6 huge liners docked in the port at times. 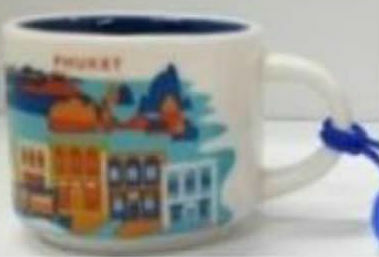 Thanks to a very vigilant Facebook user, it was brought to my attention that there is another Canadian mug revised by Starbucks. 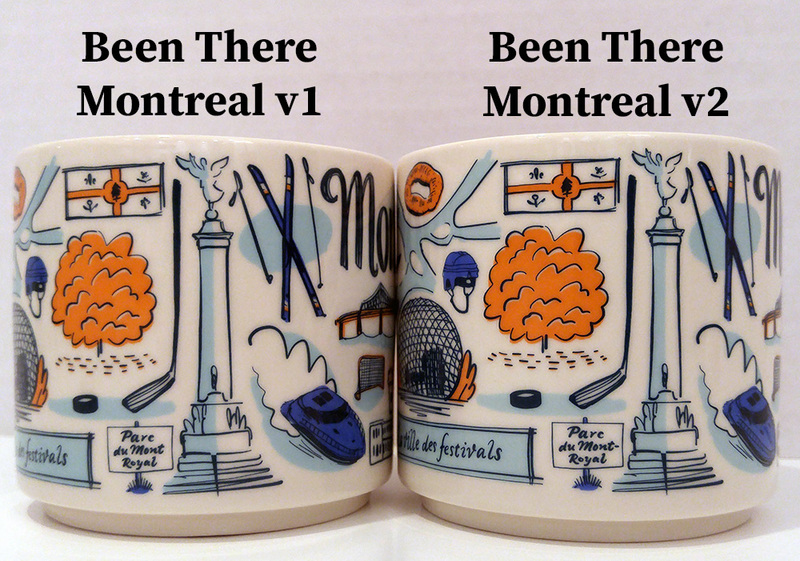 Been There – Montreal v2 introduces the update for “Parc du Mont-Royal”, which was “Parc du Mont Royal” in the initial release (v1). Even though it was a minor, hardly visible error, I think Starbucks did the right thing fixing it.